A small group of college students stands in a circle around a pile of lumber, fitting construction helmets on their heads and pulling on work gloves as they listen to a man holding a saw give instructions. A few of the students shiver as a cold wind rips through the group, but they continue to listen intently. As the man finishes talking, they break apart and begin to pick up tools: a drill, a hammer, a ladder. They get to work, and suddenly it’s hard to hear anything over the roar of the saw and the sound of nails being hammered into wood. 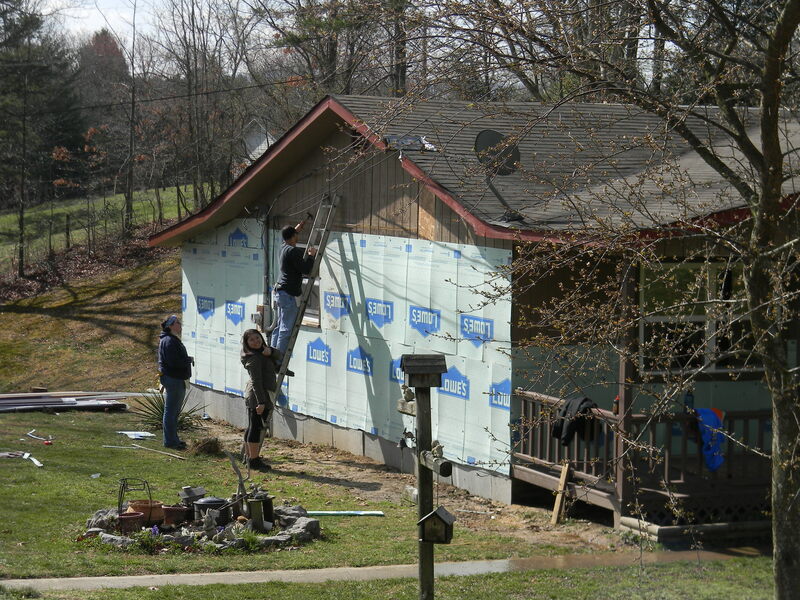 The students are in eastern Kentucky, spending their spring break repairing homes and building new ones for families in need. 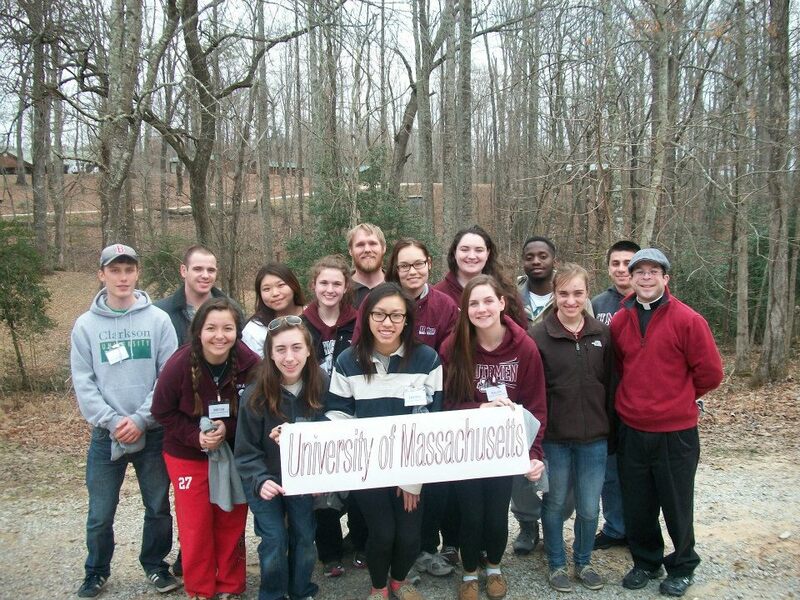 A group of 15 UMass Amherst students in the Newman Students Association chose to go on the alternative spring break trip last month. Led by Fr. Jon Reardon, they drove to Kentucky over the span of two days – they stopped in Pittsburgh overnight. 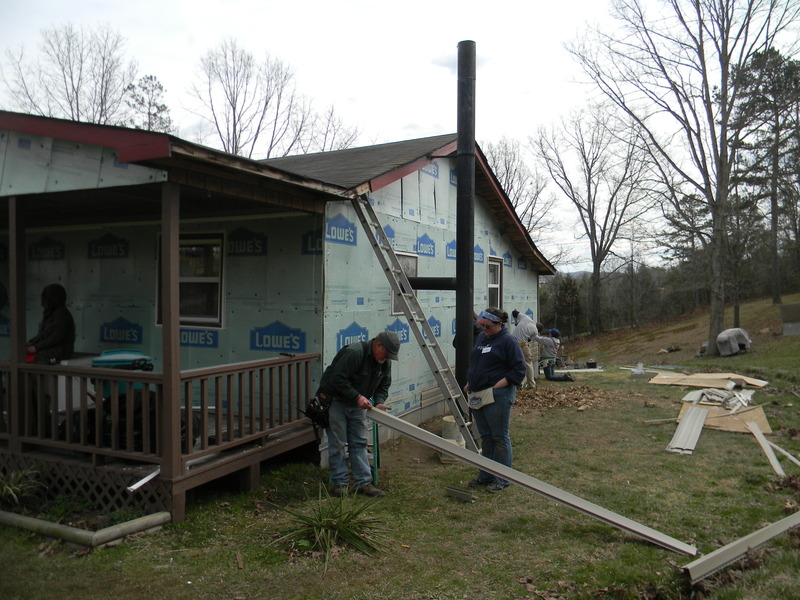 The group worked with a nondenominational Christian organization, the Christian Appalachian Project, which provides physical, spiritual, and emotional support to people in need living in Appalachia. 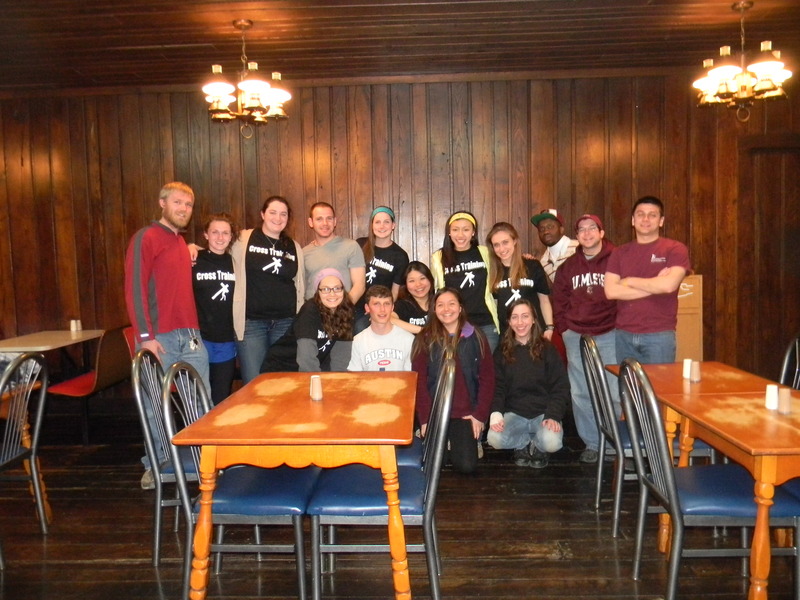 They participated in CAP’s alternative spring break program, Workfest 2013, which provides students with an alternative spring break program and at the same time allows CAP to finish projects on a much quicker schedule than they would be able to do with their regular long-term volunteers. 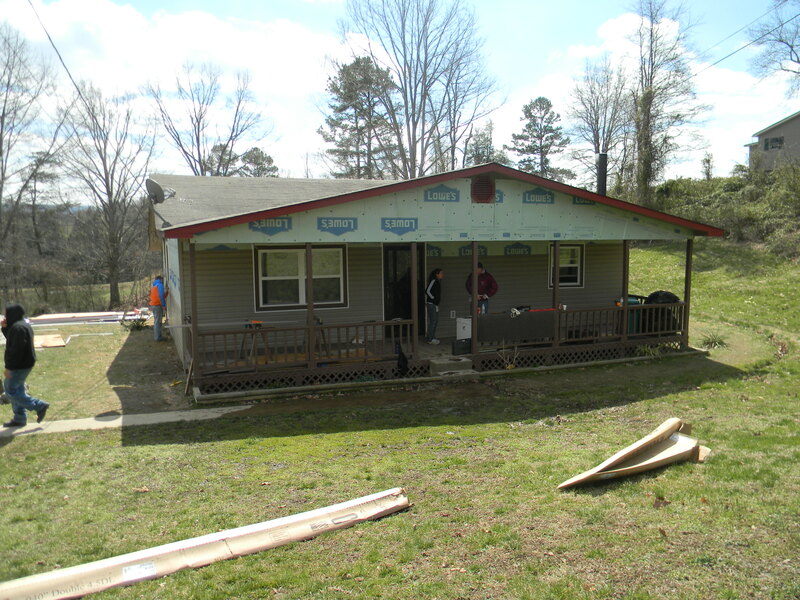 Students worked in teams with students from other schools, building porches, additions to houses, and repairing roofs. 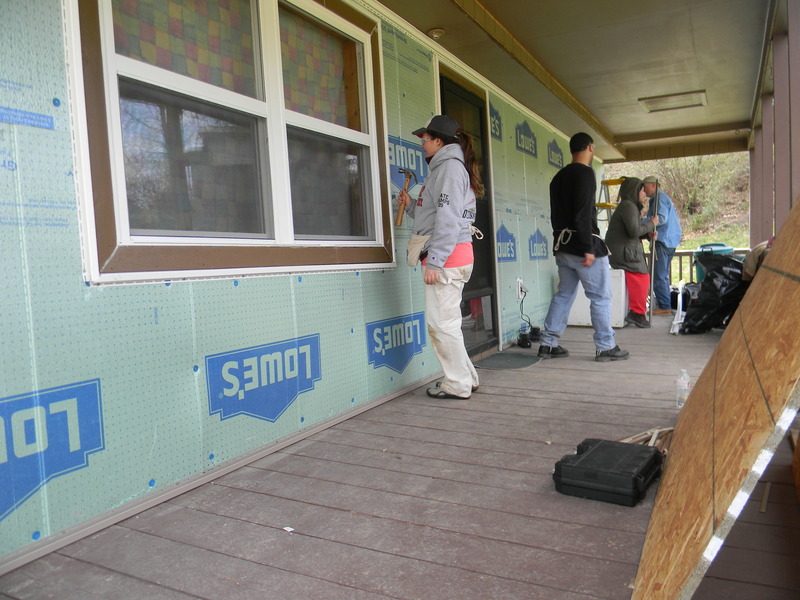 Mireille O’Connor was on a team that added siding and outside insulation to the home of an older couple who had built their home over 30 years ago, but now found themselves with a leaky roof and a home that was cold in the winter. Alec Bergweiler went on the trip because his friend had a good experience on a similar trip with the NSA last year. “I wanted something else to do for spring break other than sitting at home doing homework,” said Bergweiler. He worked on the home of an older couple plagued with medical problems – first, the husband had three heart attacks, and then the wife was diagnosed with leukemia. “She’s in remission now, but their medical bills were really high,” Bergweiler said, which caused the couple to spend the money they planned to use for home repairs on medical treatment. CAP stepped in to help the family with the repairs. Bergweiler did things in Kentucky that he had never done before. 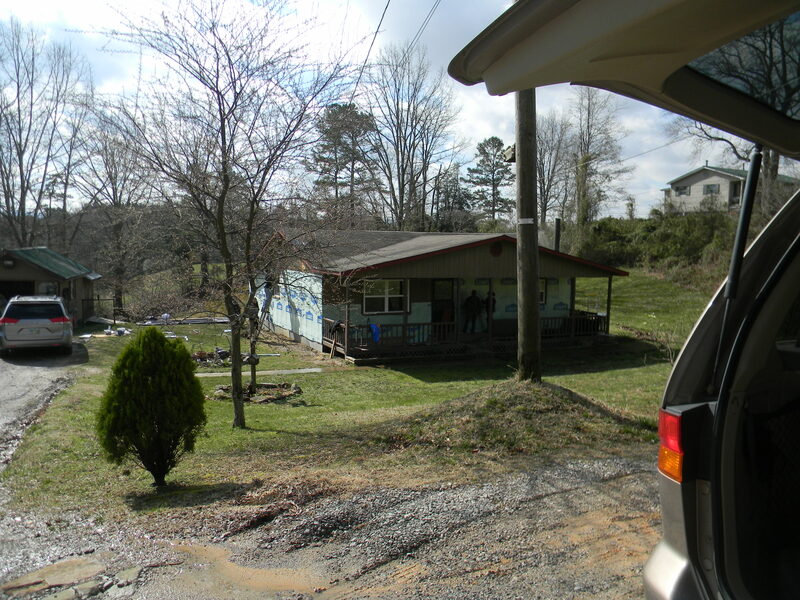 “I got up on the roof, knocked down a chimney with crowbars, added siding to the house, and put a metal roof over the existing shingle roof. Seeing eastern Kentucky was also a highlight for Bergweiler. “We went to the original KFC restaurant, and Cumberland Falls, which was cool because I don’t see waterfalls very often.” Cumberland Falls is known as the “Niagara of the South,” and is located close to the camp where the group stayed. 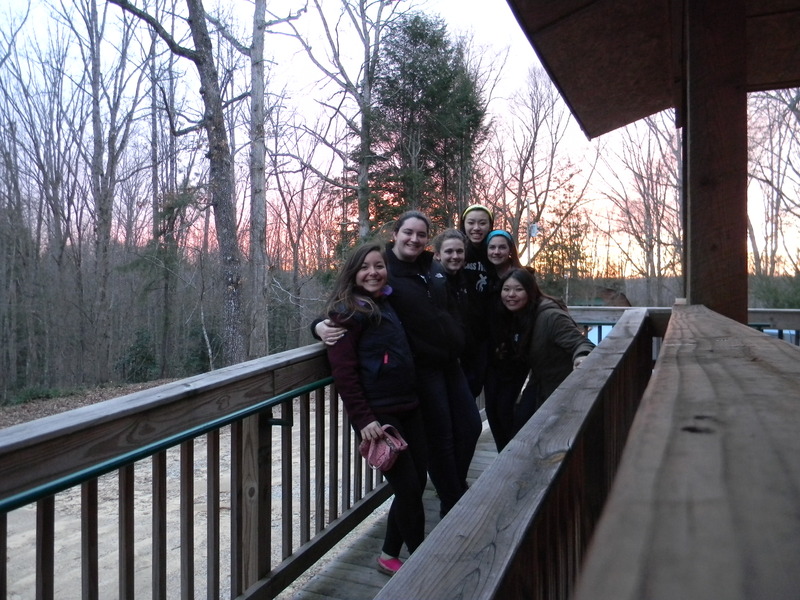 “My favorite part was how friendly the people we were helping were. They were very down to earth, and getting to know them was nice. The husband talked to me about how he was a firefighter and flew planes – he had a really full and interesting life.” Students often talked to the homeowners while working and on lunch breaks. 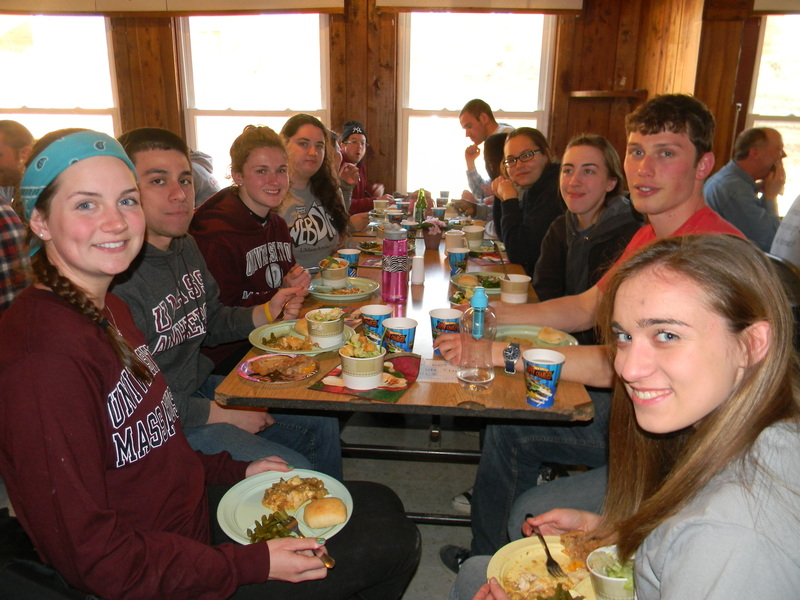 They shared stories of faith and life at college and learned about life in Kentucky.